If your company uses at least 1 MW/month and would like to avoid the high cost of Comisión Federal de Electricidad (CFE) electricity, please give us a call. Bmark Energy understands the process of importing low-cost energy from U. S. suppliers, across the border into the CFE transmission system. End-use companies receive their power as they normally do, but simply at a lower rate. There are normally four different tiered rates with the CFE, from the lowest “base” rate, up the ladder to the “intermediate” then the “semi-punta," and finally the super expensive “punta” rate. Many companies prefer to curtail manufacturing activity during the peak punta periods, however, with lower energy costs available 24/7, extended hours of operation can prove beneficial. With a brief discussion, we can review the Comisión Reguladora de Energía (CRE) legal process, review your company’s 12-month historic CFE usage and interval data, and guide you through the electricity importation process from start to finish. 1. Review your company’s CFE utility usage (historic and interval data). 2. Provide indicative and competitive future pricing quotes for one or multiple year terms. 3. Provide an estimate of savings for different pricing structures. 4. Facilitate the CRE permit process and obtain supplier agreements. 5. 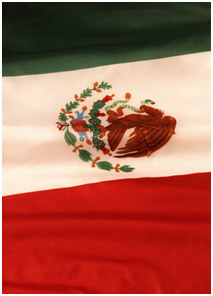 Coordinate all paperwork for your company, energy supplier, and Mexico’s CFE and CRE. 6. Monitor the go-forward progress to ensure a successful program. 1. We have streamlined the permit and paperwork process to make importing electricity possible. 2. With extreme shale plays unfolding in the U.S., there is an abundance of natural gas supply and more cost-effective “gas-fired” generation becoming the norm. 3. We have a variety of programs and supplier pricing to meet your company’s requirements. It’s time to begin. Please contact us today to get started!